For a recent assignment, I had to discuss my construction as a ‘raced’ subject. Writing this essay made me question my identity which left me quite baffled. 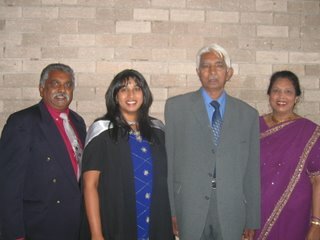 I’m a South African Indian, meaning that I’m of Indian descent born and living in South Africa. I understand the hardships my forefathers endured to achieve basic rights in this country just as I am aware of my religion and motherland. During the age of 8 and 15 which were my days at Primary and halfway through High School, I now realize how assimilated I had become to the whiteness of my friends. Now you may question what I mean by the term ‘whiteness’. When used in relation to my friends, I mean it to be the way in which they spoke and behaved. During the lunch hour at school, I would sometimes have toasted cheese sandwiches from the tuck-shop, while, my white friends ate hotdogs and beef burgers. They did not understand why I was not allowed to eat red meat even though I told them it was against my religion. It did not bother me. I had never eaten it, so surely I had no idea of what I was supposedly missing. If I declined an offer of biltong, I was told that I did not know what I was missing out on. It was as if they didn’t even make an effort to understand who I was. Towards the end of my high school career, Bollywood was being placed on the global map. 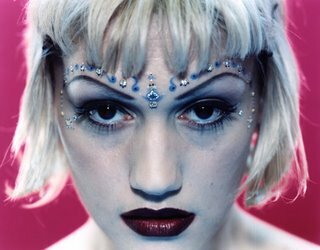 English music artists began remixing their songs with Indian tunes and musical icons like Madonna and Gwen Stefani started wearing bindi’s. All of a sudden, my white friends started taking an interest in Indian music and my culture, when before they mocked me when I listened to Indian music or if I did not know who Alanis Morissette or Bon Jovi was. In retrospect, it almost seems as though the western pop culture gave the go ahead for the Indian culture to be “hip”, “cool” and “in fashion”. As I grapple with the issue of my Indian identity, I am almost ashamed to admit that in order to fit in with the dominant culture, I laughed when my white classmates told jokes which are derogatory to Indian people. They’d put on heavy Indian accents or tease me about why I didn’t study Pharmacy or a Bcomm degree – fields that many Indian people pursue. Despite the fact that I engaged in the laughter, deep down I would be furious. How dare they (my white classmates) laugh about Indian people or talk of us as though we were of a different human species altogether. Not once would I ever even pass a racial slur regarding any of my friends, regardless of their race. My question that I pose then is, when do racial comments become funny? Are they meant to be taken light-heartedly or are there hidden meanings behind them? When I meet a white person, I certainly don’t ask them for koeksisters or vetkoek. So why do people find it necessary to ask me for “roh-tee” (roti), chicken curry and samoosa’s? …based on the simple fact that I’m Indian! But the thing that really grates my nerves is when people say, “Where are you from... Durban?” If someone dare asks me that again, I will almost surely write them off. For the six billionth time, No – I’m not from Durban! Believe it or not, not all Indian people hail from Natal! Looking back on the past few years, I can see the dramatic changes that occurred in the formation of my identity and as such, the construction of myself as a ‘raced’ subject. I should stress that by writing this column, I am not downsizing my white friends. 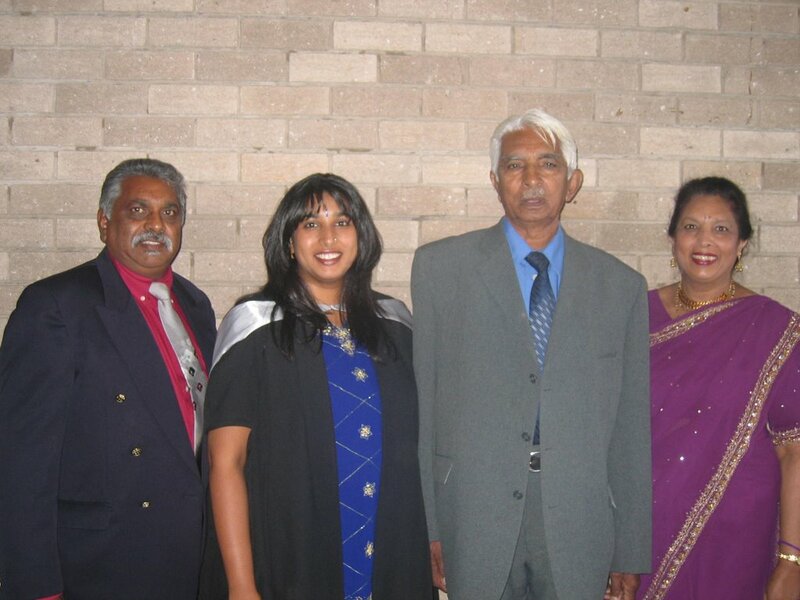 I have merely shared with you my experiences as a South African Indian, and how I have been assimilated into what I regarded was the dominant culture. By doing so, I have come to realize who I really am. To round this month’s column off, I’d like to congratulate my cousin, Jenita who has just received her degree of Bachelor of Social Work. I was invited to her graduation ceremony and sitting with her parents and grandfather in the audience, I had goose bumps creep up my spine as she walked on stage when her name was announced. The excitement shown on her parents and grandfather’s faces were so evident and heart-warming. They smiled with pride, as did I. On that note, congratulations to graduates all over the country!